Data and web services are bigger than ever and Big Data requires Big Testing. Big data product testing is definitely challenging: in such a massive amount of data, issues can be very complex, hard to find and some of them may even be hidden within unprocessed data. A couple of years ago, I made a drastic career change: from a manual software tester in a big company, I became the first full time tester for a data driven merchandising tools startup. The first product I had to test was a web service which predicts shoppers' perfect size on e-commerce websites. Surprisingly, this little web service turned out to be fueled by staggering amounts of BIG data. Being new to the world of data driven products, I felt overwhelmed at the start, but, nevertheless, I dived in and slowly but surely learned how to find my way around an area that was a black box to me. In this session, I will share the story of my progression from a manual UI tester to a data-savvy tester capable of interpreting huge chunks of data. I will talk about the stress of facing such an imposing challenge and how professionally rewarding it was when I finally managed to get to know the beast that is Big Data by finding the right tool. Finally, I will also talk about how understanding the data gave me a better insight into the product itself and helped me to become a better and more pro-active tester. 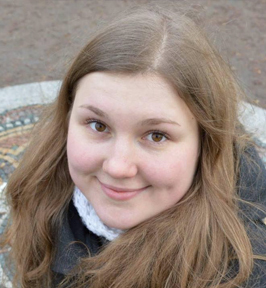 Lina Zubyte is a curious and passionate software quality specialist. She has been involved in software testing and quality assurance for a relatively short time - since 2013, but has had her share of learnings. In the beginning of her career, Lina worked in a large multinational architectural software company in Vilnius, Lithuania, where she had a chance to experience very diverse teams, test scripts and silos. In 2015, she made the most drastic and rewarding change in her career life: she became the first full-time tester in a startup and moved to Budapest, Hungary. As the lone tester, Lina works closely with Development, Product and R&D teams on creating data driven merchandising solutions to fashion retailers globally. Her work tasks include testing of visual similarity engine and fit solution products. She loves analyzing data and getting extra information using analytics tools. Lina is an active member of the testing community: writes a blog, follows the newest trends in testing, attends conferences, and, organizes Budapest’s QA meetup.